Like many people, I have a habit of dropping my smartphone quite a bit. I have dropped my phones in toilets, face-down onto the street, and even behind a stage where it could not be retrieved. True story. And, judging by the amount of people I’ve seen with cracked screens and chipped exteriors, I’m not alone in that. This is what drew me to the self-described “rugged” CAT S41, a smartphone manufactured by the popular construction company Caterpillar. While I was originally skeptical to try out a phone bearing the same company name as my winter boots, I was definitely intrigued. What was my experience with the phone? Well, if I told you now it wouldn’t be much of an article, would it? Durability is the name of the game when it comes to the CAT S41. I know this because, upon telling a group of friends about this durability, one member of the group decided to very kindly test this out by dropping it repeatedly. And, despite never consenting to the drop test, I was pleasantly surprised to see the phone still operating without so much as a scratch. In addition to its drop-resistant design, the S41 is waterproof up to 2m, with specialized covers that help keep liquids from seeping into your headphone jack or charging port. One aspect of the CAT S41 that really impressed me was the camera. As I said, I have been through a lot of phones in my day, and smartphones that operate on Android tend to be a bit hit-or-miss when it comes to image quality. However, I was pleasantly surprised to learn that the phone had a 13MP camera for me to take pictures with. Will this new camera quality finally help to boost my Instagram following? Time will tell. While breaking phones has been a consistent phenomenon throughout my life, something else has plagued me just as much: battery life. I can’t tell you how many times my phone battery bit the dust while I was out and about, just because I use my phone all day for music, playing games, watching videos, checking what movies celebrities were in, and texting. Well, for the first time since high school, I have a phone that doesn’t constantly have to be accompanied by a charger. Well, it’s good to know one thing in my life has gotten better since high school. (Self-burn!) The phone even features the innovative “Battery Share” feature, allowing it to charge devices for those with less fortunate battery lives. I definitely didn’t know what to expect when it came to the S41. While I was excited for the prospect of a durable phone, I was definitely skeptical about the actual “phone” aspect of this smartphone, if that makes sense. Well, I can honestly say that the S41 has my full recommendation, whether you’re a clumsy oaf like myself, someone that works in conditions that may be dangerous to smart equipment, or simply someone looking to try out something that’s not the typical Apple/Samsung/LG fare. If you’re looking for some mind-blowing futuristic experience, stick with the major brands. 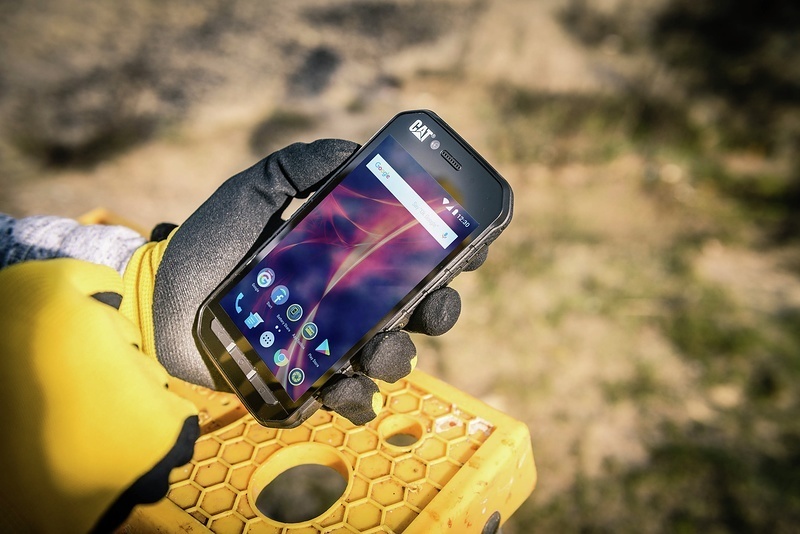 If you like your Android phone but are plagued with butterfingers, go with the CAT S41.